In our Herbalist Profile Series, we’ve been giving you glimpses into the various types of herbalists we find in the world today. There are dozens and dozens of ways you can use your herbal education for personal enrichment or professional pursuit! So far in our series, we’ve talked about the profiles of a Family Herbalist and Entrepreneur Herbalist, but this isn’t where the opportunities end. Oh, no! One of the most assumed roles of a professionally educated herbalist is that of a Clinical Herbalist. A Clinical Herbalist is someone who works at a professional level with clients or with companies that require the assistance of someone with a high level of herbal knowledge. They are often diligent, curious, and patient people who enjoy helping others and spreading the word about herbalism! Clinical Herbalists are often compassionate and people-oriented, and these traits likely led them here in their career path. Before practicing clinically, it is recommended that one undertake many years of education along with additional hands-on experience working with clients under the direction of a trained herbalist. If you’re curious as to whether the Clinical Herbalist pathway is right for you, let’s take a quick peek at the many ways Clinical Herbalists are practicing today. There may be more than you think! Clinical Herbalists are often entrepreneurs themselves and may choose to work in their own private practice. Like other health professionals, Clinical Herbalists may also choose to practice in an integrated clinic setting or community health clinic where both acute and chronic care may be provided. These individuals may also serve in a more informal setting, such as the home, where a family herbalist or community herbalist may be accessible to a neighborhood and/or by word of mouth. If you like working with people, want to provide direct support, and are interested in committing to being available, accessible, and accountable to cultivated relationships in a confidential setting, this path is one of infinite growth and learning, one which asks practitioners to establish boundaries, meet standards and ethics of care, and rigorously pursue continuing education. Many Clinical Herbalists combine herbalism with other wellness-supportive practices or services, such as registered nursing and advanced nursing practice, naturopathy, midwifery, acupuncture, bodywork, energy work, massage therapy, physical therapy, nutrition counseling, and mental health counseling. As natural health becomes more desired, practices and centers are now starting to seek Clinical Herbalists to join their team of professionals in order to provide more specialized services for their clients and patients. Many Clinical Herbalist practitioners are self-employed small business owners, while others may work in natural food stores, chiropractic offices, public health clinics, or volunteer organizations such as homeless shelters. Herbalists trained as clinicians may also find work in herbal products companies, which often look for individuals with diverse knowledge and experience with herbs. Roles in such companies include positions in marketing, product development, and special project managers. Being an herbalist is much like being a doctor or a lawyer in that there are many ways you can practice your expertise. As a Clinical Herbalist, you can also take your skillset to many avenues, determined completely by you and where you want to go! If you feel that becoming a Clinical Herbalist is something you’d like to pursue, and you’d like to learn even more about this type of herbalist, perhaps the Herbal Academy blog can assist you! We offer tons of free content for herbalists of all skill and experience levels. When it comes to the Clinical Herbalist, you might be inspired by some of the following articles. Who Can Be A Clinical Herbalist? 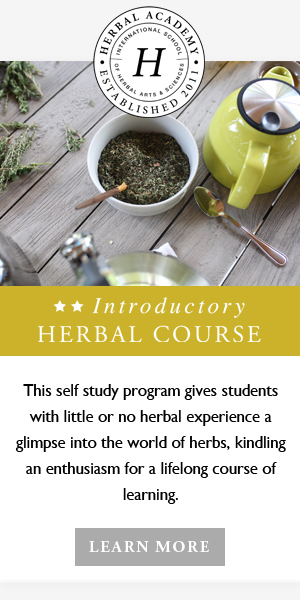 Thousands of students are enrolled in the Herbal Academy’s courses at any given time, and we would love to have you join, too. With your enrollment, you will get immediate access into your course (even with a payment plan), an invitation to join our student-only Facebook community, the option to choose your start date, a certificate of completion with your graduation, and discounts to Mountain Rose Herbs, Bulk Herb Store, and other great herbal businesses! If you feel called to become a Clinical Herbalist, we hope you’ll join us here at the Herbal Academy and allow us to guide you on this journey. Our Clinical Herbalist Pathway is the perfect package to take you from learning herbalism at a beginner level all the way to a professional level. This package is the most extensive package we offer, designed for those who want to study it all. It combines our newly revised Introductory and Intermediate courses along with our ever popular Advanced Herbal Course. This package will set you on the right path towards practicing as a professional herbalist and preparing you for opening a clinical practice down the road if this is your desire. By the end of this pathway, you will have moved from a foundational level in herbalism, working your way all the way up to client assessment and intake procedures, the philosophy of healing, and the legal considerations for a practicing herbalist! At the end of your studies, you will be ready to work or apprentice locally alongside a practicing professional herbalist in order to obtain the hands-on clinical hours you need to begin working with clients. Learn more about our Clinical Herbalist Pathway here. Here’s what students are saying about our Clinical Herbalist Pathway. If you have taken our Intermediate Herbal Course or have amassed hands-on experience through workshops and self-study and have established a solid herbal foundation, our Advanced Herbal Course can help you take your herbal studies to a professional level. This course can also benefit healthcare practitioners and students looking to grow in their holistic health careers as well! Our Advanced Herbal Course will help you to understand herbal traditions and history, foundational topics like phytochemistry and botany, how to make and sell herbal products, explore the anatomy, physiology, and pathophysiology of various body systems from a holistic perspective, address reproductive wellness, healthy aging, and weight loss, as well as client assessment, advanced formulation, legal considerations, and more. By the end of this course, you will have the knowledge base and critical thinking skills to prepare you for the hands-on clinical training that is part and parcel to becoming a clinical herbalist! Learn more about our Advanced Herbal Course here.